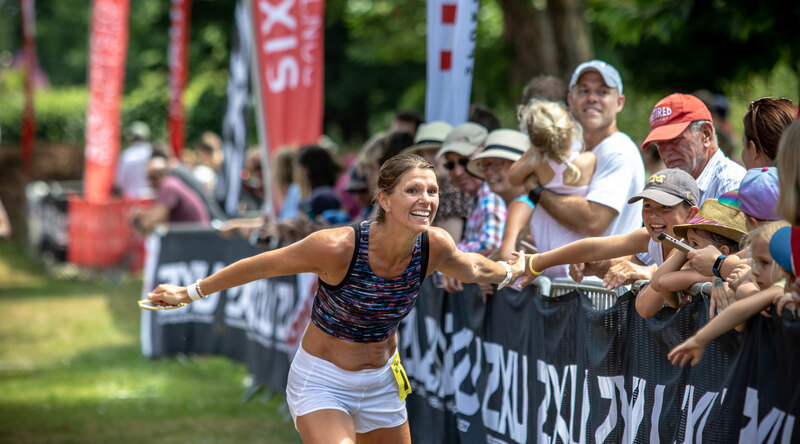 Here we take a look at the process, from choosing your first race, to advice for the lead-up to the event, the run itself and the aftermath. Running a half is not just about managing the mileage; the right course and the right mindset are just as important. Racecheck exists to help athletes find great races to enter and does this through the power of peer reviews. We can help you filter your search for your first half marathon, eliminating events that are too far from you or take place on the wrong date. You can then order the results by their average rating – thus quickly identifying the best candidates. It might be that you have an idea of the event you want to enter, but you’re not sure of its reputation. Is it well run? What is the atmosphere like? Try typing the name of your potential event into our search function and see what other athletes have said about it in the past. Your first half marathon is likely to be pretty stressful, so try to reduce logistical challenges to a minimum. Perhaps save the prestigious international events for when you already have a domestic half marathon under your belt. For now, concentrating on local events will mean you can remove the hassle of travel and accommodation, leaving your mind free to concentrate on the essentials of training and race preparation. By staying local, you’re more likely to have friends running in the event and supporting at the sidelines and you’ll also be able to return home to familiar surroundings soon after the finish. This can be a good motivator when you’re pushing through to the finish line. Do you prefer the buzz of the city or the tranquility of the countryside? Will you perform better in front of a crowd, or on your own on a more low-key course? For some people, running in a big bunch can be a little overwhelming and it can be difficult not to get swept along with adrenaline early on in the race. Your best chance of a great run is to run it the way you want to. Use Racecheck reviews and even past event photography to gauge the sort of numbers participating. The timing of the event should also be considered. In general, the big training block prior to the event will be in the three months before. If you prefer to run in warm conditions, remember that the training for a spring event in April will be done in the colder months. Better to choose a July run, allowing you to do the bulk of your training from April onwards. Each event on the Racecheck website is reviewed by people who have actually been there and done it. Covering everything from car parking to whether the course is good for fast times, their feedback is invaluable in deciding if the event is right for you. Once you’ve chosen your first half marathon, it’s time to match the terrain of the event to your training. If the location is close enough then the best way to train is on the course itself. If you can’t recce it in person, check out the course profile. Does it begin with a steady two-mile climb, or is there a flatter start? What’s the overall climbing and descending? What’s the surface like? As you get closer to the event, target your training specifically to the distance, course type and time of day you will be running. Try to remove as many ‘unknowns’ as you can, so that by the time you arrive at the start line you’re in the best place to perform to your maximum. Forearmed with the knowledge you can achieve your goals, you’ll be in the right headspace and ready to execute your plan. Just go out and enjoy it! We’ve all heard this, haven’t we? But there’s a good piece of advice hidden in there. By the time you arrive on the start line, there is nothing more you can do to prepare. Put all thoughts other than the event out of your mind; the beauty of running is that feeling of placing all other worries aside and focusing on one single goal. Top athletes will always look back at how they’ve performed, at what could have been better and what worked well. This could be as simple as how early you arrived to sign in, right through to your nutrition regime on the day. Spending some time evaluating everything allows you to learn from any mistakes going forward. Remember to let others know your thoughts on the event too by rating it on Racecheck. Still got questions about your first half? The Racecheck community is an amazing, inspiring group of like-minded athletes, all of them ready to share their experiences and tips. With over 10,000 of us already connected on Twitter, and plenty more on Facebook and Instagram, we’d love you to join us.